discovered on the Isle of Lewis in Scotland during the year 1836 (Rabbit Hole Brewing). Are you ready to go beerserk? If so, then you'll want to reach for the latest offering from Rabbit Hole Brewing of Justin. Shield Biter is a strong Scotch ale (otherwise known as a wee heavy) that's described as an animalistic 8% ABV brew, with notes of lightly-toasted bread and biscuity malt complimenting ruthlessly rich caramel and dark fruit flavors. launch events occurring on Thursday, September 14 (Rabbit Hole Brewing). 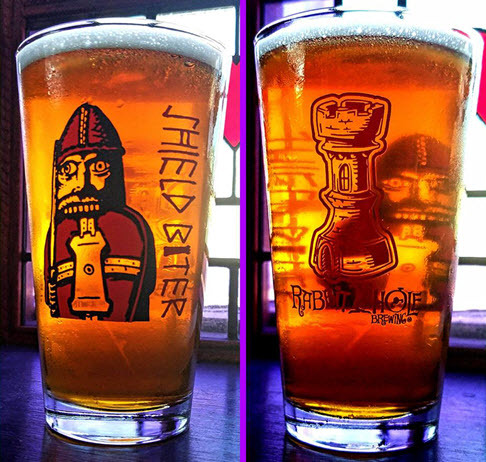 According to a pre-release note, the inspiration for the beer is drawn from the Viking Age - a period that dates from the late 8th century to the mid-11th century in Northern European and Scandinavian history. "Old Norse literature paints the picture of a Berserker, a near mythical warrior, as wild and fierce as an animal. 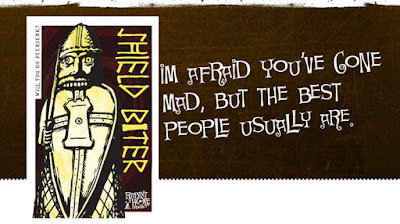 So resilient, their skin was said to be able to resist fire and iron, and so savage, they are traditionally depicted as gnawing on their own shields!" 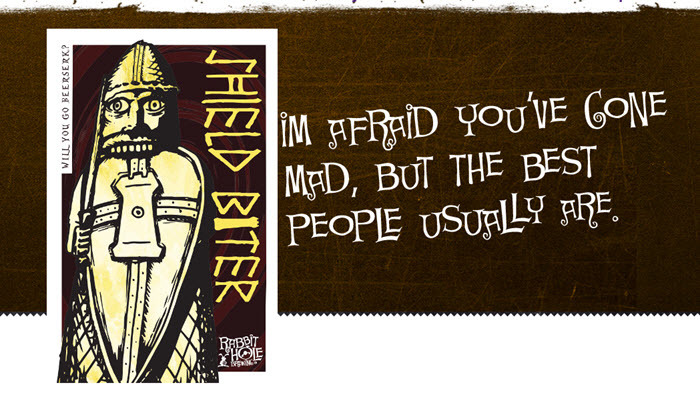 Look for Shield Biter to be available on tap for a limited time beginning Thursday, September 14. Launch parties are scheduled at a number of establishments on Thursday as well, with festivities set to occur at Dallas Craft Co. Keller, East Side Denton and LUCK.